ConceptDraw PRO provides a range of business graphic documentation solutions with thousands of stencils and hundreds of templates for rapid diagramming. "Your company can express itself in the best way with this software." 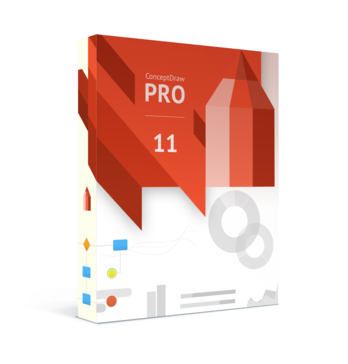 From my point of view it seems to me that this is an acceptable software mainly because it has a very nice interface and draws much attention from graphic designers, on the other hand, the accessories that the ConceptDraw PRO interface has are interesting. The tools and options that this software has are good, useful and professional, making all the projects I do very formal, decent and incredible. Another point that I like a lot about this software is the great variety of templates that has this software, in addition, templates are so beautiful that it is so difficult to choose one. I really like that through this software we can create the slides in a very easy and fast way but the best thing about this is that the slides are very nice and give a very good impression. For the exponents of the slides (which are about the future work of the companies or other topics of interest) it is easier to speak in public because the slides are very easy to handle. At the moment that you are doing a project (of any scope or type) it is usually somewhat complicated to find the function that you need to apply to that project, that is, the tools and options are disorganized and I do not like that. I can also add here that to be able to handle this software you need to have knowledge in the area. To me it is very easy to use this software but the beginners of the company not much, they should investigate too much about ConceptDraw PRO in order to develop it well. Finally, it has a defect when it comes to fixing any type of graphic and that is very frustrating. The first recommendation I am going to do is for the owners of ConceptDraw PRO to organize the software and be much easier to use, they should also improve the support team so that they can provide us with more information when we have any questions. Similarly should create a forum where should be all the correct and specific information about the operation of this software. I consider this software advisable because thanks to all the projects, slides and designs that can be created with ConceptDraw PRO it would be much easier for your company to express itself. a) Projects easier to express to the public and other interested parties. b) Graphs easier to understand. c) Faster and easier processes. d) More dynamic and participative clients. e) And finally, we learn more while we use this software, especially the beginners but I admit that I have learned a lot. "Best Diagramming solution for Businesses"
- It's not cloud based so you have to use your own disk-space. - Sometime support teams take more time to solve the issue. - Sometime if you are drawing the big charts or diagram it have frozen. ConceptDraw is a great tool that I used for my company presentation for our sales/marketing teams. It's full of useful templates. If you are making the sales/marketing reports with graphs and charts you should use it. ConcepDraw Pro has all powerful & complete drawing tools which you need everyday for powerful, professional, and dynamic visualizations. 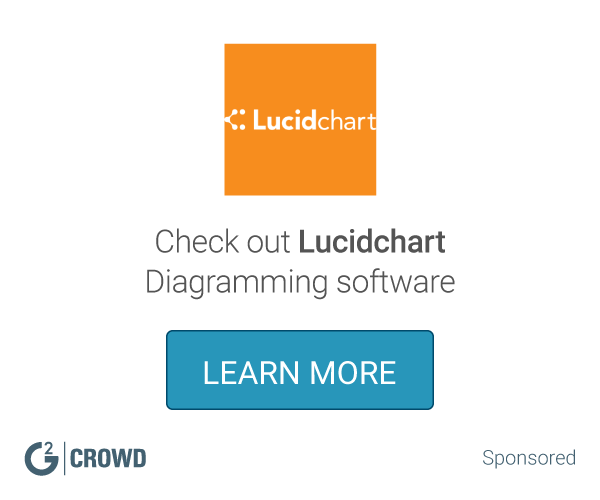 What Diagramming solution do you use? "Concept Draw pro - excellence at its best "
Everything , I love the way you can transition from mind map to project and then report all in one package. Excellent to work with and customers think its great. Nothing about this product fails me. I feel it is very easy to use and the software packages from Mind map to project work every time. Give it a trial - its free and you'll love it. As a consultant i help businesses develop project management solutions, Concept draw pro allows this a low cost compared to other software , but no loss of functionality . "Fantastic tool. Poweful, intuitive well-serviced by company." This is a fantastic tool. Unequivocal. In addition to the native features Conceptdraw offers "Solutions" Some of these come pre-packaged with the program while others are available to be imported via cloud into ConceptDraw. There is a large collection of free options and there are also reasonably priced paid Solutions. If you have a specific project that you are working on, you can easily retrieve these from the ConceptDraw Store. The "Store" is an app you can install with its own interface or you can use their website for purchases. The store app is also where you retrieve system updates. I think a lot of users start with programs like Visio and ConceptDraw. I did use Visio and a few other tools but I started using ConceptDraw after first using ConceptDraw Mindmap. These tools can be used together and with CD Project. ConceptDraw can be used to supplement MindMap where you want an end point with much greater detail. In the same way it can be used for a reference point in Projects. While you use this for planning out physical space, information modeling etc, it can also be useful with clients and presentations. While it is difficult to replace Keynote (powerpoint) presentations, this is a great option to either supplement or in some specific cases, use as an alternative. I would really like to be able to import structured data such as from Numbers/Excel or even csv. Even a text list with markup or even just text with tabs or returns. I believe this is an area where ConceptDraw has a future and if AI could be developed with it that would make it exponentially more powerful. For example: using one of the existing "Solutions" importing data into such a solution using intelligent associations with structure and graphics. Minor pet peeve is that in the Store the price is not listed on paid solutions. You have to click the "Buy" button to go to their website to see the price. This is probably not an entry level product based upon price but it is certainly worth the price. If you do this type of work then this is the type of tool that is part of the cost of doing business and if you prefer an installed solution rather than cloud (or are in some situation where cloud is not always available) then the whole ConceptDraw Office is useful and can pay for itself. Modeling of information, processes, physical and theoretical assets and intellectual property. Saves time presenting things graphically and integration with Project and Mindmap adds to overall usefulness for all the apps. "Really great and intuitive System"
The overall look and feel of the program is great. Buttons are intuitive and was easy to learn. The templates are also really great. There is a LOT to learn. It can seem a little over whelming. It's a great additional product to have on deck. You no longer have to have an additional graphic designer to make flow charts, this is easier to use and is great for anyone in the office. It's great to not have to have an inhouse designer to build the things we use the software for. Anyone can use it and we really like not having to rely on a more specialized designer. It is sometimes difficult to get the chart elements to line up properly. I'm using ConceptDraw Pro to create simplified graphic representations for multi-layered processes to clarify to all participants who does what within the process. * We monitor all ConceptDraw PRO reviews to prevent fraudulent reviews and keep review quality high. We do not post reviews by company employees or direct competitors. Validated reviews require the user to submit a screenshot of the product containing their user ID, in order to verify a user is an actual user of the product. Hi there! Are you looking to implement a solution like ConceptDraw PRO?